One of best ways to save some cash as a car owner is to do as much of your own work as possible. Some of us crazy weirdos even think it’s fun to wrench on our cars. 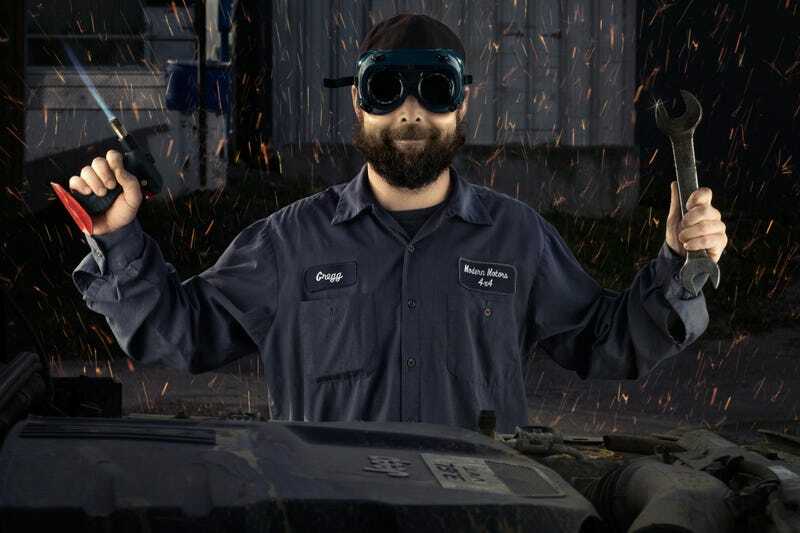 But sometimes us driveway mechanics and DIY-ers forget or ignore these 10 major no-nos. Knowing that it’s almost always avoidable, each time I strip a bolt on my car I want to slap myself. Thankfully you can (sometimes) still get the stripped hardware out by drilling it out or using a stripped bolt tool kit, but it’s such a pain. Use the right tools and take your time. You think Brakleen is only good to clean the miscellaneous mechanical parts of your car? Just wait until you get some in that open cut you forgot about it. It’ll clean that right out. Most commonly identified when a wheel falls off a car, ignoring torque spec throughout your car is not okay. Don’t go for “hand-tight”. Don’t give it a splash from an impact wrench. If whatever you’re putting back together has a required torque spec, follow it. I get it. We don’t all work for high-class shops with every proprietary tool possible. But when you find a DIY guide online and it says you need that special bell-housing removal tool or maybe even just a wheel lock key, try and do it the right way. It’s best not to have other people waiting on you when working on cars. If you’re working off the workshop manual or an online guide, give yourself a couple more hours or maybe even a couple more days than it says. There are so many things that can go wrong when working on cars by yourself. Unfortunately there isn’t much to do about rusted bolts when encountering them on a car. My go-t0 is usually to douse it in PB Blaster for an extended period of time and then pray. Sometimes it works, and sometimes the head comes clean off the rest of the bolt. Not fun. It’s always a good time when you’re finishing up the fix or mod and you realize you’re missing half the hardware. Stay organized. Bag the bolts and screws, label everything and don’t lose anything. If you misdiagnose an issue with your car based on what you found on the internet, you’re going to have a bad time. Most of us have gone down that road of ordering parts, then ordering more parts, then ordering more parts and still not having the fix done or solution verified. Even if you don’t want a shop doing your repairs, seek in-person professional advice. If you don’t, you’ll probably end up spending a lot more than you bargained for. Trust me. Whatever you’re doing, if you have to get underneath your car, do NOT do it with just a floor jack underneath. And definitely don’t with that awful widowmaker of a roadside jack your car probably came with. Assuming you don’t want two tons of machine coming down on you, jack stands are a driveway mechanic’s best friend. When it says online that “this job is not your novices” and you’re wondering if you qualify as a novice, you probably shouldn’t be attempting the job. You’ll only make it worse. Shell out the cash to have professionals get it done quicker, and the right way.